Happy Saints: Catholic Beat August Art of the Month! Catholic Beat August Art of the Month! Happy Saints is featured as August Art of the Month in the Catholic Beat! Congratulations! I'd say you hit the mark. Thank you for sharing your God-given talent with us. 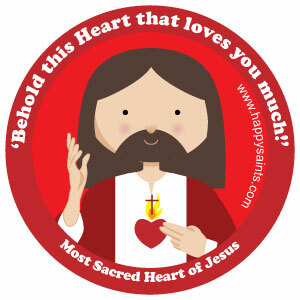 Most Sacred Heart of the Son of God, the Lord, God, King, Redeemer, Saviour, and Messiah Jesus Christ, have mercy upon us!